Make sure the picture is of high quality /resolution - DPI/. Generaly, the higher DPI is better for bigger puzzles. For example: If you plan to order 550 pcs photo puzzle, try to zoom the picture in your browser to about twice the size of your monitor/display. The photo must be a digital photograph. Ideal file should be over 1MB for and not greater than 20 MB. The photo must be in JPG format. If not sure, please send the picture to "[email protected]" for evaluation. Pictures taken by digital cameras are mostly suitable, pictures taken by mobile phones are not suitable. 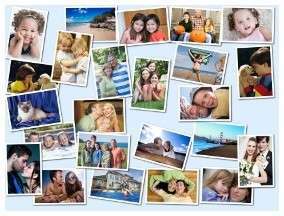 If you wish to have a puzzle made from a slide photograph, high resolution scanner will be necessary. We do not suggest to use scanned photographs. Avoid to use images with extremely large single color areas, like sky, sea...etc. Of course, if part of an image belongs to beautiful bay, or amazing blue sky with small white clouds, all that is fine. However, sometimes we get images of a couple swimming in the sea with the same color sky above them, where 90% of the area is of similar color. Try to imagine assembling 1,000 piece jigsaw puzzle, where 900 pieces is of a blue, light blue or dark blue color. Try to not use thin frames on the outside edge of the picture. There is a bleeding area on each image which will be cropped when cutting the pieces. The frame may disappear or may not stay even on each side. Frames on images inside the photo collage are OK. When ordering at our website shopping cart in Step#2 you will be prompt to crop your picture according to the selected puzzle aspect ratio. For example if the image is too wide and there is an content on each side, it will be hard to crop it without loosing anything important. If still in doubt, do not hesitate and send your photo to [email protected] for evaluation.